Carles Ferrer Roqueta is a General Partner at Nauta Capital and is based in London. Carles has extensive Venture Capital experience, having raised, managed and exited different VC funds since 2000. Carles’ areas of interest include Security, SaaS, Marketing/Social Analytics/Intelligence and Critical data-driven companies. 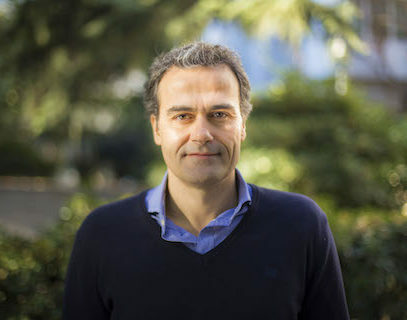 Carles has recently led deals at the following companies: Brandwatch (Social media intelligence); Scytl (Secure Electronic Voting), iJento (predictive analytics), Kinamik, CloudIQ (AI powered optimisation conversion engine), Mishipay (mobile self-checkout solutions), ChannelSight (Buy now technologies), Agnitio (Voice Biometrics), Abiquo (Cloud Management), GetApp (Workspace for SaaS applications), BeMyEye (crowdsource market research data analytics),Smarp (Internal content hub), Basekit (Saas web builder for SMEs), and Mercaux (in-store retail transformation platform). His previous experience includes also management positions in corporate strategy and planning/finance divisions with blue chip companies in the telecommunications, defence/SW/auto spaces and financial services, such as TRW (acquired by Northrop Grumman), Auna Group/Retevision (acquired by France Telecom and ONO) and Ernst & Young. Carles holds a Business Administration degree from Universitat de Barcelona, Graduate Programme in Administration and Management from Harvard University and an MBA from SDA Bocconi (Milan, Italy).